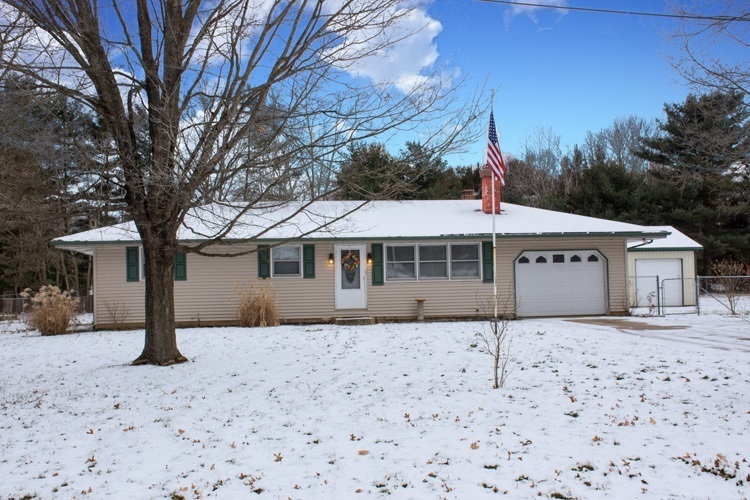 Adorable home in PHM schools with ACREAGE! Walk in to this ranch style home to see the original hardwood floors throughout the family room, dining room, down the hall and through the main floor bedrooms. This home offers 2 main floor bedrooms with the 3rd converted to a dining area but could easily be converted back. Main floor bath has been update. Eat-Kitchen! Newer Furnace and A/C. Full finished basement with a fireplace, another full bath, and addition room. All of this with 2 beautiful FENCED in ACRES! A 30x40 Pole Barn with workshop attached! This rare find is priced to sell so come and see it TODAY!